...The Kingdoms of this world are become the Kingdoms of our Lord.... Amen. (Rev.11:15 KJV): MIRIAM EZEKA: IF THERE IS A WOMAN TO PRAY THERE IS GOD TO ANSWER!!! Thank you Lord Jesus for another great Thursday for your women to gather! On behalf of the fruitful women, I thank you Lord, who humble himself to behold the things that are in heaven and on earth, who maketh the barren woman to keep house, and to be a joyful mother of children. pass through every word here by your humble Daughter Miriam Ezeka, the Women's Vice President, please glorify your word Lord. Amen! This is a prayer for women or couples waiting on God for fruit of the womb. The Bible said that children are gift from God. There is a woman who gave birth without a womb, that is God miracle at work. There is nothing impossible with God, HE is God of impossibility. He raised the dead, He make the blind to see, He healed the sick, He answered Hannah, Sarah, and other barren women in the bible and declared that no woman shall be barren. I believe that when we go on our knees and pray , God will come in his glory and make a name for himself. My elder sister was without a child for 7 years , today she is a joyous mother of two beautiful babies, a friend of mine got married since 2008, today she’s only 6 months pregnant with her first baby. These two women have one thing in common ,they never give up believing, they went on their knees and cried out to God. One amazing thing about trusting on God for fruit of the womb is that HE in HIS infinite mercy will maintain and keep your marriage till the right time to bless you. It may take years but your marriage will not be affected. And at the appointed time, you be a joyous mother of children. May we all be like fruitful vine in our husband’s house in Jesus Name . Amen. Please if you are seeking for fruit of the womb, pray this prayer with me. God will never disappoint you. Just PUSH (pray until something happens). Oh Father God, in Genesis 1:26 you created man in your image and in your likeness. You are a reproductive God. You are a fertile God. Man, whom you created in your own image and likeness should not be infertile or unable to reproduce. That is why in Genesis 1:28, you commanded man to go and increase and multiply. 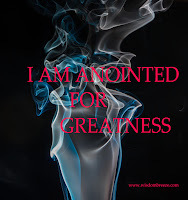 I claim the anointing for increasing and multiplication. Oh Lord I shall multiply, your word says in the Book of Exodus 23:26 , “in your land no woman will have a miscarriage or be without children. I will give you long lives.”Let this word be fulfilled in my life. Papa, this word of yours cannot change. I will not be barren and I will not continue to miscarry. Miscarriage is not my portion. Barrenness is not my portion. My portion is fertility and I shall be fertile. In Psalm 92:14, you said concerning your people, “they still bear fruit in old age , they are ever full of sap and green”. The power in your divinity is not limited by age. It goes beyond the barriers of every biological or ecological factor. It goes beyond every genetic inheritance or DNA characteristics and even beyond medical laboratory results and postulations. Oh Lord, even if my womb was like a wilderness: even if my procreative system was like a desert, now, make a river out of it because you can do all things. Therefore Lord, now I claim fertility: I claim potency. I claim anointing to be fertile as you said in Genesis 22:17, where you reassured me : “I will surely bless you, and I will surely multiply your offspring as the stars of heaven and as the sand that is on the seashore. And your offspring shall possess the gates of his enemies”. Oh Lord, multiply me according to your word to your people that they should go and be fruitful and multiply. 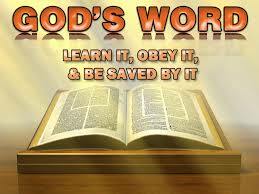 I have received your word and I stand by your infallible word. I am fertile now. I am fruitful now. I am going to increase and multiply from this moment. I am no longer barren in Jesus name. Through Christ death on the cross of Calvary, I am redeemed from every curse whatsoever.Christ became a curse for my sake so that the blessings of Abraham might come to me. I receive now the blessings that made Abraham the father of many nations and Sarah the mother of many nations. Now I am fertile in Jesus name. Amen. You promised me Oh Lord in Psalms 128;6 that I shall see my children’s children. Let that promise be fulfilled in my life. Therefore Lord, let me now begin to see my children. I am confident that you will keep me to see my children’s children also. -Part of this prayer was extracted from powerful prayers by Rev Fr. Mbaka. Thank you very much Our beloved Women's Vice President Miriam Ezeka. Indeed If There is a Woman to Pray, There is a God to Answer......And blessed is she that believed: for there shall be a performance of those things which were told her from the Lord.. LUKE 1:45. I plead the Blood of Jesus over your womb, family, marriage, relationship, education, career, business and ministry. By prophetic and Apostolic Audacity, I sealed this prayer with the Blood of Jesus! Holy Ghost endowed your daughter Miriam with More Grace and Wisdom. I joined my faith with Miriam's and declare it is done in Jesus' name, for we pray with thanksgiving, Amen! A very bigggg amen.. Please you all should put me in your prayers oo.. It is well with you Glo. with God all things are possible Dear Gloria......just believe in God....and don't compromise your faith. but right now, Gloria by Prophetic and Apostolic Audacity, rise above your struggle and confusion. when men say there is a casting down, Gloria you will say there is a lifting up. From this moment henceforth, receive Grace, Reign in life over challenges, troubles and Attack. what area part of your life that has been blocked, Spring a surprise. Receive supernatural solutions in Jesus' name, Amen. I sent you a mail ma please check and acknowledge. I welcome you Cutie berry to this wonderful family...we really appreciate your visit and I pray God to bestow His favour in all that you do in Jesus' name, Amen! Receive Grace to reign over life challenges in Jesus' name, Amen. AMEN! I feel the fire. O yes! Our God is a consuming Fire! His Word is Fire! 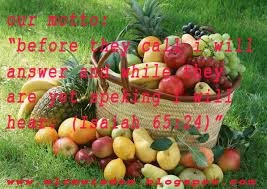 HE is a fruitful GOD, The GOD of impossibility. We all shall be like fruitful vine in our husband’s house, because GOD has decreed it unto our lives. This prayer has recorded many testimonies, God is the only One who gives children. May HE answer each and everyone of us according to our need and heart desires. Amen. Pastor Lucy, may God bless u too and continue to use you to draw souls to HIM. Remain blessed. Amen and amen. Thanks for the prayers. Good to see you Favour, welcome! Receive inspiration in Jesus' name, Amen! I feel blessed everytime I come here. Well done ma'm. May your anointing be ever renewed. Keep spreading the Word. Thank you, Miriam Ezeka for letting God use you. Nwamaka.....we thank you too for meditating on these words! Hey Carina dear, don't feel bad because it is late, but be happy because you finally have the Grace to make it a "Reality"